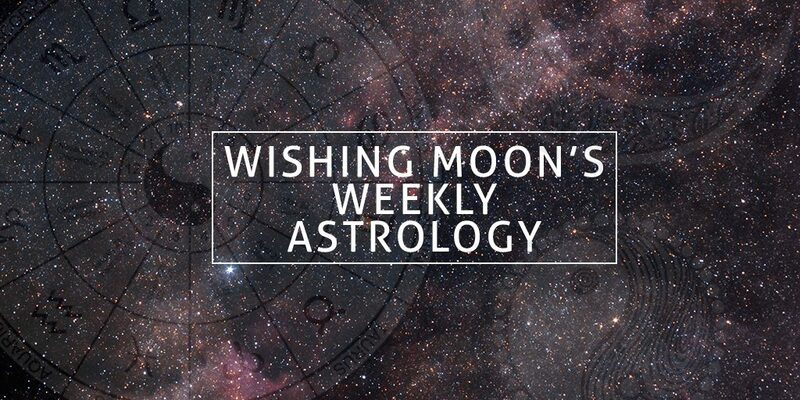 The Moon aligns with fiery Sagittarius this week and many of us will be tempted to speak our minds, once and for all. If you’ve been keeping something to yourself that’s been emotionally conflicting, now is the time to let the truth spill. Yes, many around us will be a little shocked after many signs come clean about how they feel, however, it is a breath of fresh air. We do warn you to try and calm down before you say something you don’t mean. If you’ve put a stop to a toxic friendship, don’t burn your bridges. Otherwise, you can turn into a toxic person yourself, only saying things full of negativity. Have you ever witnessed a character that can’t help but say all the wrong things? Well, this could be you this week. Be careful you don’t offend when your comedy is on a roll, Aries. As a fire sign, you can come across as someone full of confidence, yet it can come back to haunt you. Being outspoken is great but you should always ask yourself whether there will be consequences that will mess everything up. Think twice before you joke about someone or send out a passive-aggressive Facebook post. Not only could it rub your peers up the wrong way, but it could circulate on the internet, branding you as someone you’re not. Before you say anything, ask yourself whether you’d be offended by someone saying the same to you. Make sure your fiery personality doesn’t come back to burn you. Remember: people can be offended easily. The green-eyed monster could make an appearance this week, Taurus. Whatever you do, refuse him entry at your door because it could derail your entire week. Someone you see every day (whether it’s a friend or a colleague) could be doing very well for themselves, which will leave you asking, “why not me?”. Don’t establish enemies with the people climbing the ladder quicker than you. If you start seeing them as mentors, they could give you some fantastic tips that could make your February brilliant. Talk to them this week and you could receive valuable advice. Don’t let jealousy get the best of you. If someone younger than you is experiencing more success, have a look at what they’ve been doing differently. Ask for advice. It doesn’t make you a bad person. 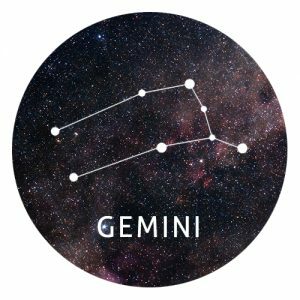 You love nothing more than connecting with people in all the right ways, Gemini. As a sign which has a best friend (twin) by your side, you always appreciate the friends you have in life. Luckily for you, the first week of February is the one where you could find you excellent new pals. Sure, you might have plenty of friends already but you never know, you could just meet someone who could be a part of your exciting adventures. We have a strong feeling that this person is going to be more a creative type who could teach you to re-establish your own talents. A new friend could come into the mix. Look out for creative people who could be the key to an adventure in your life. Don’t shy away from talking to new people. The first week of February could see you deal with a lot of aggravation when it comes to your career. If people in your team are letting you do all the hard work without lifting a finger, you might begin to feel like you’re going to crack. It might seem easier to be extra sassy with them but it won’t iron anything out. Sit people down and discuss what is on your mind so they can begin to understand you. 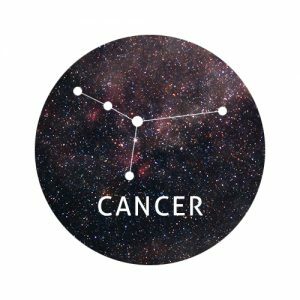 The Moon surrounding Sagittarius will make you want to get stroppy with them, yet it will only create more issues further down the line. Be honest about how you’re feeling with colleagues. Try not to offend people when you address issues in the workplace. Take everything one step at a time so you can plan everything smoothly. 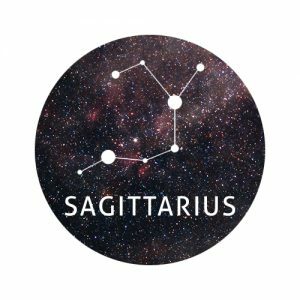 The link between Sagittarius and the Moon is going to make you feel extra confident this week and it’s about time you take advantage of it. If you’re a Leo who is on the shy side when it comes to your sense of style, maybe it’s time to buy that brightly coloured jacket or dye your hair that on-trend colour you’ve always wanted to try. Dress the way you want and prepare to wow people with your presence. It might end up turning a few heads for all the right reasons, too. Being memorable to influential people could give you new opportunities you didn’t think you could get. Step outside the box when it comes to your appearance. If you’ve been pondering a new look, go for it because this could be the week where you stand out for all the right reasons. If you’re a shy Leo, please don’t be afraid of standing out, even if you aren’t used to it. You’ve been feeling extra sensitive this week, so listen to what your feelings are telling you. If you can, get together with some of your closest friends so you can get the sensible advice you need. When your head is mixed up, you’ll be unable to see any logic in a situation which is why others can help you. Virgos worry all the time, so anything extra will send you over the edge! After a cup of tea and a chat, you’ll feel refreshed and ready to tackle whatever problems pop up out of the blue. Take a deep breath, Virgo! Connect with close friends when you need guidance. Don’t tackle insecurities all on your own. Remember that many problems can be sorted out if you just take emotion out of it. If you’ve been hiding your real emotions behind cryptic messages and social media posts, now is the time to snap out of it. Tell people how you feel and don’t hold back. Being upfront and honest could inspire you to become a little more expressive in your life. You might start new personal projects or look towards starting a new business. In other news, it is a good idea to take some time out during the weekend. Yes, you might want to go out with friends until 2 am but after your busy week, it could burn you out. Starting out your second week in February exhausted doesn’t sound too good, does it? Don’t pack too many activities into your entire week. Express your feelings a little more. If there is a new side project you want to start, put your plans into place this week. 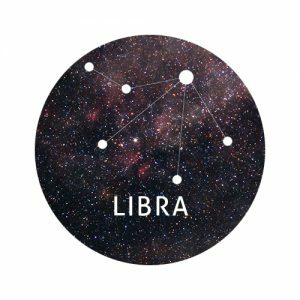 A sign like you wants their life to be easy and breezy, however, you might need to tidy up your life for you to feel calm and collected. Spring cleaning can take place in February, you know! Going through everything you own to decide what to throw and what to keep will also clear your mind of all the rubbish collecting in there, too. You might also come across items that remind you of the life you no longer lead. Instead of getting upset and sentimental, throw it out. Your past holding you back is the last thing you need. If you organise your space, you can also organise your life. Don’t be surprised if you feel like your head is in a great state by the end of the week. Clean out the physical and emotional luggage you’ve been carrying around. Organise everything that that your home looks well presented, not cluttered. Even if you find something nice that reminds you of your past, such as memories from a previous friendship or relationship, don’t keep it. You’re on a roll this week, Sagittarius. The light is shining on you, so make sure you don’t shy away. Step out of the darkness and explore new activities with friends around you. 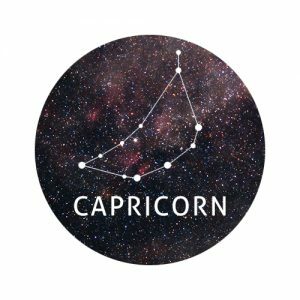 You might not be as bold with your attitude as other fire signs are, but it’s about time you show people what you are made of! If there is an opportunity for you to showcase a talent, do it! At the start of this year, you will have no idea how much this could help you progress later on in 2016. People will finally begin to notice what you can do, so expect other new and exciting responsibilities to arrive. Break out of your shell and be a little more outgoing. Don’t shy away from new challenges. If you have a hidden talent, show it off once and for all! If you’ve been feeling dazed and confused, this is the week that will spring you into action. The end of a birthday season is never fun and yes, it’s time you swap the pina colada for a fruit smoothie. Look at why you are feeling rubbish and what you can do about it. If you’re going home exhausted after work yet find it an enormous struggle to fall asleep, there are simple steps you can make to help you drift off. Those double espresso coffees might seem like a good idea at 4 pm, but it could be the reason you’re feeling awful. Log down what you’re drinking and eating so you know what’s best to bin. Make a food/drink diary so you can bin what is affecting your health and wellbeing. Try introducing more fruit into your diet. Try gentle exercise to help you drift off. Maybe a new yoga class is a good idea! Your a quirky sign, there’s no doubt about it. Unfortunately, you may have been linked to less than accepting people in your life who have made you doubt your talents. This doubt will have taken years if not decades to overcome and now you have, it’s time to put your efforts towards valuable connections. The start of February is going to be a great one for you because it’s when great people will start showing up. These people could be new friends or clients that appreciate the way you look at life with a sunny attitude, so show your appreciation. In life, it’s all about finding the right people who make us feel great, instead of valuing friendships that knock us down. If you meet a person who has the same sense of humour as you, get their number and keep in touch. Start asking yourself why you’ve been giving your loyalty to the wrong people. Don’t allow others to make you feel bad about yourself because you’re brilliant! This week requires you to stand and speak up Pisces. You aren’t the sign to toot your own horn but you should share a great idea with the crowd. People shouldn’t underestimate you, yet do you allow yourself to sit back and let everyone else showcase their talents. You do know that there’s nothing wrong with pitching your amazing ideas, right? If you have something great to share with your boss or client, you may find out later on this week that you’ve been sitting on a goldmine. Do you research and prepare a proposal to back it up. You won’t know the incredible opportunities it could bring until you try. Go for it! If you have a brilliant idea, ask your loved ones for advice when polishing it. Don’t be afraid of coming across as a big shot. If you have something worthwhile to say, then say it! If anyone shows any amount of jealousy due to your success this week, please just ignore them.